06.06.17 | Anti-Bullying Blog | Comment? This year’s Anti-Bullying Week 2017 theme is “all equal, all different, all together”. It is a positive theme to celebrate each young person’s uniqueness and diversity and to promote the idea that everyone has something good to offer in difference. The Anti-Bullying Week Competition is happening earlier than ever before – it’s open for the entire last term of the 16/17 academic year and will close on Friday 23rd June. 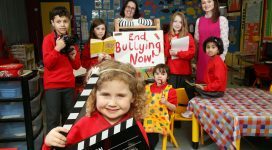 We hope that by bringing the competition forward, your pupils, teaching and support staff will have more time to create, develop and promote anti-bullying messages and to plan a programme of work to promote Anti-Bullying Week in your school. We’re already excited about displaying and celebrating the creativity of young people at the Anti-Bullying Week launch and awards ceremony and throughout Anti-Bullying Week 2017, 13-17 November. For information on how, when and what to enter, visit the NIABF website. Over the past few months we have been working on the NIABF Strategic Plan 2017-2020. Through engaging in discussion with members and stakeholders, we are proud of the outcomes that we have adopted that will drive our work over the next few years. You can see a copy of the strategic plan here. NIABF’s ‘Effective Responses to Bullying Behaviour’ is an excellent resource on addressing and preventing bullying behaviour in schools. We are pleased to announce we are working on two new inserts on Disablist Bullying and Bullying of Looked After Children to add to this resource. We will keep you up to date with the progress of this work. 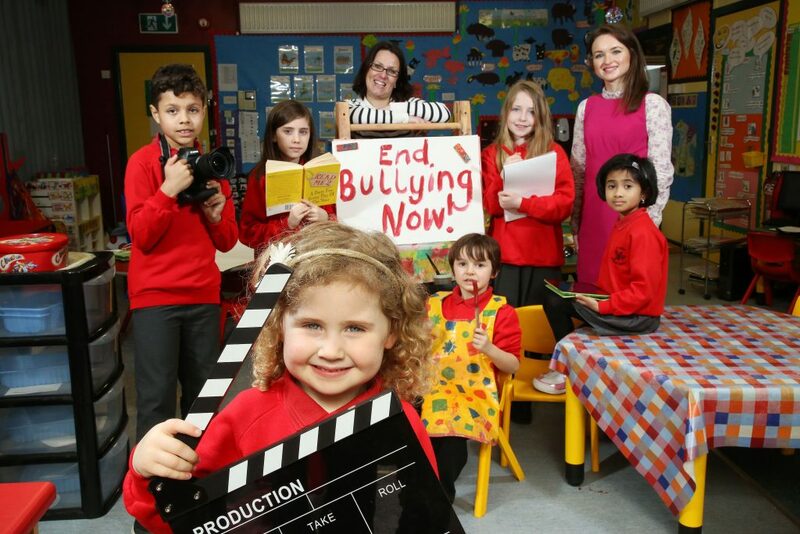 We are working with the Department of Education and key stakeholders to develop guidance for schools, parents and pupils to accompany the new Addressing Bullying in Schools (NI) Act 2016. When this work is complete, the guidance will provide a clear outline of how to use the legislation in a consistent and purposeful way across Northern Ireland. NIABF has representation on the Safeguarding Board Northern Ireland (SBNI) e-Safety Forum and we were delighted to attend the launch of a fantastic free training package on keeping safe online – Virtual REALity. The training has been developed in a collaborative way with input from many different statutory and voluntary sector organisations. The training package has been designed for children, young people and parents and aims to deliver a consistent message on online safety, both about the risks of being online and how to keep yourself safe online. There are a number of free train the trainer events happening across Northern Ireland throughout the month of June. It’s a real pleasure as NIABF Co-ordinator to have the opportunity to meet and work with the many fantastic organisations across Northern Ireland standing up for and upholding the rights of vulnerable children and young people. Here’s a roundup of recent events hosted by some of our Forum members. Cara-Friend was involved in organising a great calendar of events for LGBT Awareness Week 14-21 May. The seminar on Supporting Transgender Young People in Schools and Youth Settings gave insights and inspiration on understanding and responding to the needs and experiences of these pupils. Fostering Network took the lead in celebrating Foster Care Fortnight from 8-21 May. During this fortnight the needs of children and young people in the care system and the challenges they face were highlighted. This child-centred practice knowledge will also be reflected in the new Bullying of Looked After Children insert in the Effective Responses to Bullying Behaviour resource. Follow us on Twitter @NIABF for daily updates, tweets and retweets.